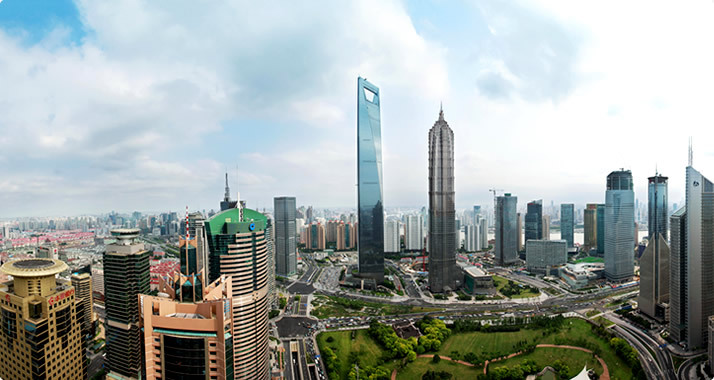 This website is managed and operated by Shanghai World Financial Center Co., Ltd. (hereinafter called the “Company”). Before using this website, please read and agree to each item specified below. The Company exercises great care with respect to information, text, data, images, graphics, photos, video, motion pictures, software, etc. listed on this website. However, the Company makes no warranty whatsoever regarding the accuracy, completeness, usefulness, or security of such information and therefore shall not be liable for any damages caused to you through your use of such information. Other websites linked to this website may not be under the control of the Company (such sites are hereinafter called “Third-Party Websites”). The Company will not be responsible in any way for your use of Third-Party Websites. The fact that this website is linked to Third-Party Websites does not mean that the Company endorses any products, services, companies, or otherwise listed in such sites, nor that the companies operating such sites are affiliated or otherwise related to the Company. The Company may change or delete the contents of this website without notice. Further, the Company may stop, suspend, or discontinue operation of this website without notice, and will not be liable for any damages caused to you in connection therewith. In addition to the above, the Company will not be responsible in any way to you for this website or for websites linked to this website. Copyright and other rights (including moral rights and neighboring rights) to information, text, data, images, graphics, photos, video, motion pictures, software, etc. listed on this website (hereinafter collectively called the “Contents”) shall belong to the Company or to the respective copyright holders. You are prohibited from copying, publicly transmitting (including preparing for transmission), orally reproducing, exhibiting, distributing, assigning, loaning, lending, translating, mutilating, or reprinting the Contents, beyond the scope permitted by the Copyright Law and the scope of personal use, without obtaining the prior written consent of the Company or the respective copyright holders. Notwithstanding the foregoing, in the event of any conflict between specific terms set forth on this website and the terms of this provision, the terms set forth on the website shall prevail. If you wish to link to this website, please send an e-mail stating the nature, address, purpose, and URL of your website, and the URL to which you wish to link,toswfc_webmaster@mori-building.comThe Company may refuse your offer to link at its discretion. The Company will not be responsible for any dispute or damage arising from a link to this website.